For use with Shimano Ultegra FC-6800 11spd Double Chainsets. Will this fit my 6700 chainset? Looks like the one that came off the bike has about 6 thead pitches on it, but the image has about double the thread? 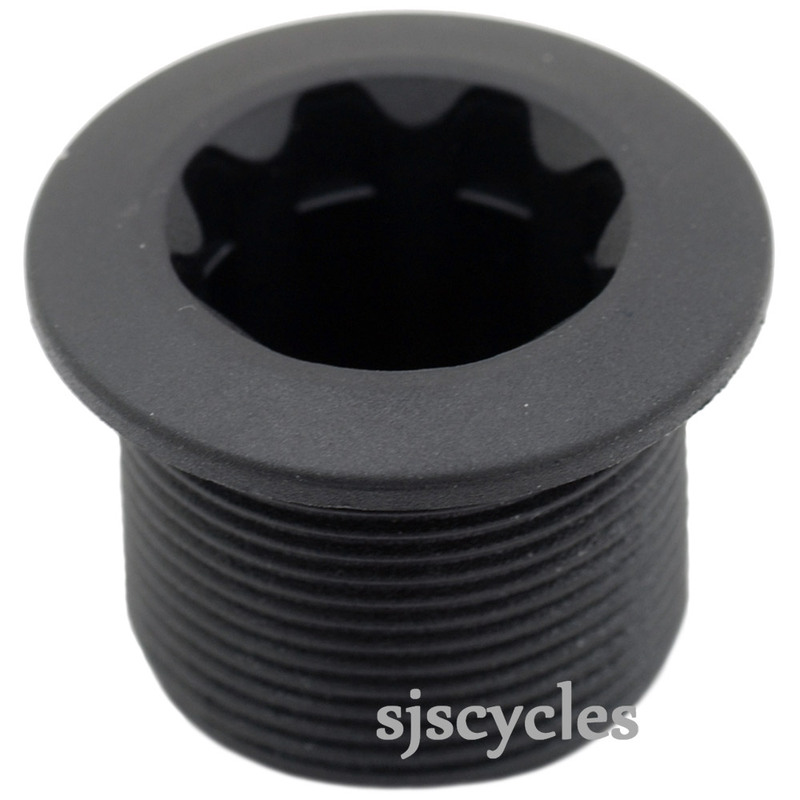 hi, I'm looking for replacement for my sora R3000 crank arm bolt but I need the aluminium one. There are a lot of option for the bolt like M15/M18/M20, which one I need for my crank? We recommend using the plastic ones as they are designed in this material to reduce the chance of over-tightening. We are not aware of a suitable aluminium bolt. Do i need the removal tool with this? If so, which one? It would be recommended to purchase the removal tool with this bolt as well. The fixing tool is SJSC part number 13321. Does This Also Need The Small Washer That Comes With The Cranks Or Does It Come With The Washer? This is sold as just the bolt, the washer you are referring to I am assuming is the one that sits between the left hand crank arm and the bottom bracket. This part is available separately and is SJSC part 24989. Can you confirm what the thread size is for this part. The thread on this crank arm fixing bolt is 19.8mm in diameter. If you haver either the Ultegra FC-6800 or 105 FC-5800 cranks then this is the correct fixing bolt, If you don't then it will be a different fixing bolt that you require.